The Model K is a high-quality manual unit that quickly clears clogged pipelines and makes pipeline maintenance quick and easy. 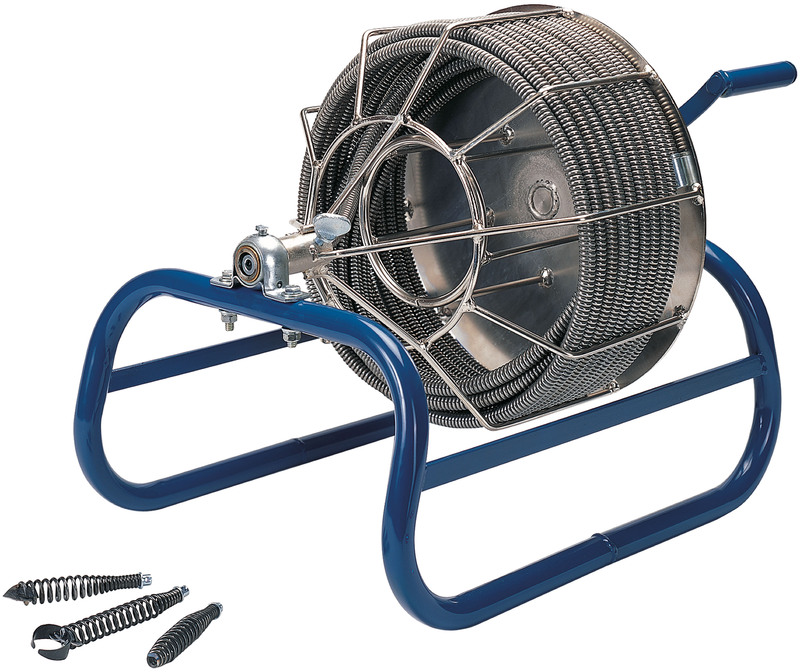 The Model K is a professional quality, manual unit for cleaning 1 1/4″ – 3″ diameter lines up to 100ft. The heavy-duty frame is reinforced on both sides for added durability. The cable cage is powder coated to resist rust. Talk to one of our knowledgeable sales reps.